A great variety of things going on this week. Join us for Ladies Night at our Madison store or join us for our free group runs. Good luck to those running at Ragnar Chicago to Madison this weekend and to the kiddos competing at the Tri4Schools event! 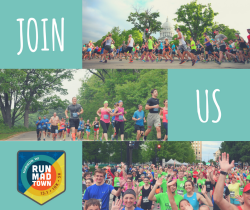 Thur May 17: Free Michelob Ultra Training Run with Run Madtown at 6pm: Meet at Silver Eagle Bar & Grill Monona for this combined pub run. 3 mile route and 5 mile route option with 1 free Michelob Ultra for those 21+ afterward! All paces welcome! Raffle and give-aways too!